I assume all of you know the Rhein, one of the most important rivers in the whole Europe, considering that it is the most used fluvial route in the EU. So, now we are gonna start seeing what it is located nearbay the river. 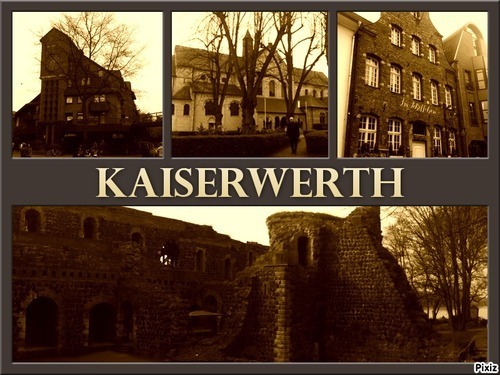 Walking across the Rhein we can find Kaiserwerth, one of the oldest areas in Düsseldorf. The zone is located in the North of the city, and it is full of ancient buildings from 1600 and 1700, which give off a special charm to the place. The streets are full of life, there you can find people chatting while drinking a coffee in a terrace. Furthermore, you can walk across the river shore until you reach the Benedictine abbey founded about the year 700, destroyed and found again in 1626. Now conserved only to the tourist and religious people who want to venerate it. 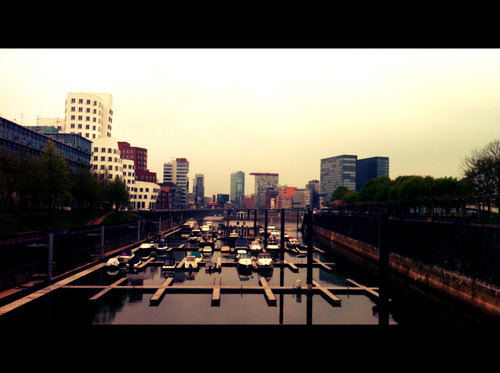 Walking in the opposite direction appears the Hafen. 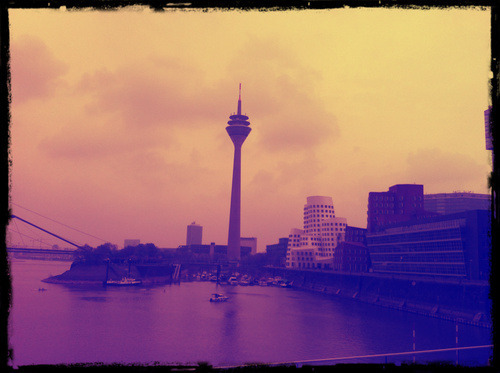 The harbor of Düsseldorf is an industrial area which was reconverted to a modern place, also known as the “Media-Hafen”. In this residential area take presence renowned companies, hotels, lounge bars and restaurants, located nearby the Rhein shore. 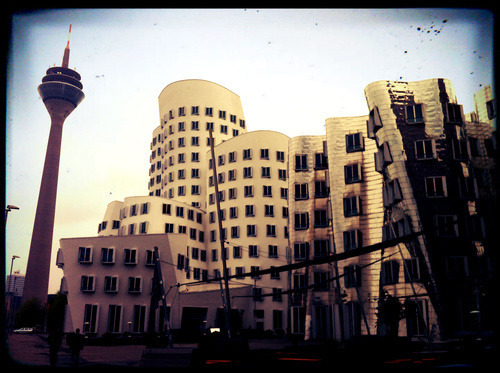 Even the important architect Frank Gehry left its trace in this part of the city. Its well-known “Frank Gehrys Häuser” were created to provide the area with a sophisticated and modern air. 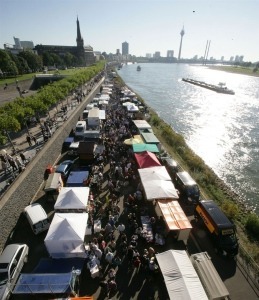 And a last time discovery: The Fischmarkt, but I will talk about it another day :).